Kingdom Hearts 3 is finally almost here, and there's plenty of speculation to be had about the story, including what plots points should be resolved. Of course, the trailers that have already been released provide some hints on what's to come, we want to know more. 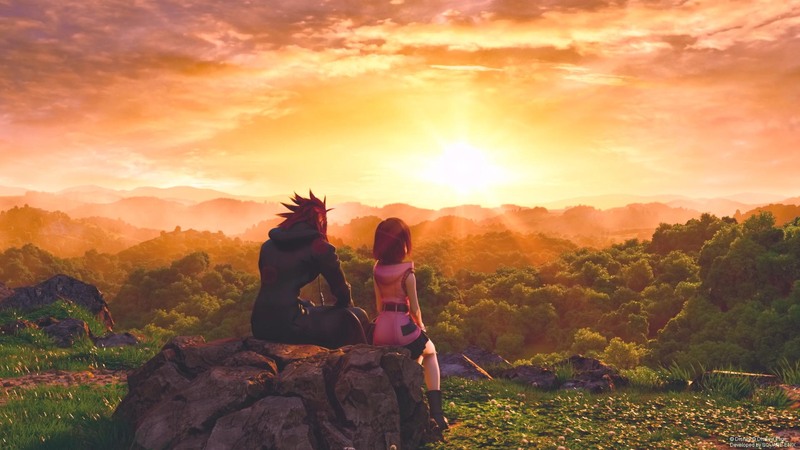 By combining knowledge gleaned from those trailers and the knowledge gained from previous Kingdom Hearts installments, we've put together our thoughts on the 13 Seekers of Darkness, the seven Guardians of Light, and the mysterious Scala ad Caelum. 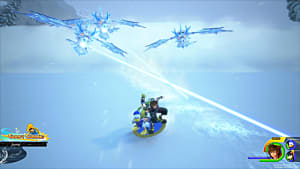 In Kingdom Hearts 3, the most important part of Xehanort's plan is predicated on the 13 Seekers of Darkness and the seven Guardians of Light clashing so that he can form the χ-blade and reach the real Kingdom Hearts. However, many have been left wondering: "Who are the Seekers of Darkness and the Guardians of Light?" 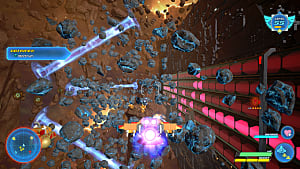 Some of their cohorts have been confirmed through previous games and the trailers, but there are still some missing. This is who we think they will be. We'll assume you're up to date on your KH3 lore and have played everything up to KH3, so there will be spoilers. Who are the 13 Seekers of Darkness? While Aqua has been mostly confirmed, both Xion and Terra are special cases. 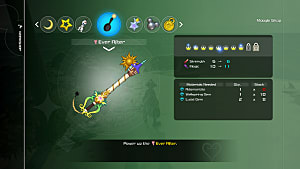 Xion was originally created as a fail-safe vessel in the event that Sora or Roxas could not be used. Xion was originally defeated by Roxas and was absorbed back into him (Sora). In the "final battle" trailer for Kingdom Hearts 3, we see a hooded organization member pointing the Kingdom Key at Axel/Lea. This is either Roxas or Xion since both of them could use keyblades. However, we believe this is Xion because she used the Kingdom Key exclusively; when we see Roxas after Kingdom Hearts 2, he typically dual wields Oblivion and Oathkeeper. What's more, Xion never originally had a look of her own; instead, she took on a different appearance based on who saw her, which even had the ability to change over time. During 358/2 Days, she looks like a black-haired version of Kairi, but then she looks exactly like Sora later on when Roxas sees her in their final battle. Since it was her original purpose to begin with, it's not a big stretch to think that she has either been recreated or revived somehow, having already been shown in the trailers that have been released. Terra is a special case as well because Master Xehanort directly took over his body as his new vessel. In fact, he becomes the very same Xehanort who then becomes Ansem the Wise's apprentice, who is then turned into a Heartless and Nobody. Although we haven't seen Terra since then, there are a couple of explanations to consider. Since Xehanort was directly in control of Terra, everything that happened was actually done to Xehanort, even if it was Terra's body. This means that Master Xehanort returned once both Heartless and Nobody were defeated — since it was technically him anyway. 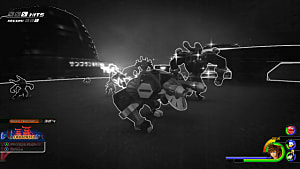 Since the hearts in Kingdom Hearts are basically souls, and Terra and Xehanort's hearts shared Terra's body, it is conceivable that once Xehanort's heartless and nobody were killed, both Xehanort and Terra were restored to their original selves. This is why we see Master Xehanort and not the possessed "Terranort". That doesn't mean that Xehanort didn't plan for this, though, and was still able to use the original Terra as a vessel. Who are the Seven Guardians of Light? 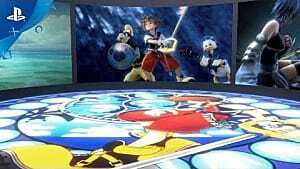 Ventus is seen, however briefly, in the "final battle" trailer getting pulled by chains along with Sora. This means that Ventus has finally been found and even though we don't see him do anything, it also most likely means he's been awakened. Why? 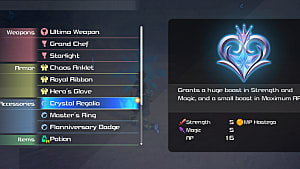 Because we know that Riku has the ability to awaken people following Dream Drop Distance, and Sora is also working on cultivating that ability. 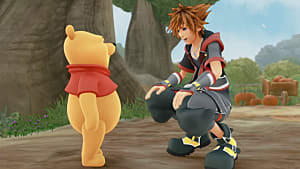 From what we've seen so far, it is clear that Sora will eventually learn the ability — or at least of the hearts sleeping inside his own. Further extrapolating on this hypothesis, it is most likely how not only Ventus comes back, but how Roxas and Xion come back as well. As for the last member of the Guardians of Light, Terra or Aqua are the logical choices. We already know from the trailers Aqua falls to darkness and becomes one of Xehanort's vessels. Terra is most likely also one of the vessels. Since everything is coming to a head in Kingdom Hearts 3, it's relatively safe to predict that one of the two will be able to break free from their bonds and fight on the side of light instead, with Terra being the most likely candidate. Why? 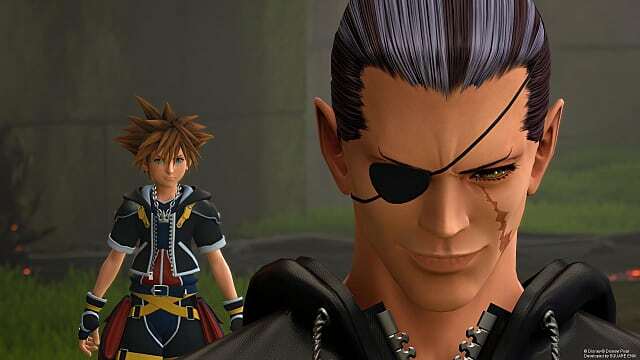 If he is one of Xehanort's vessels, it also means that Xehanort does not have direct control over his body anymore.No one has ever been shown to break free before, but since Terra has been directly possessed by Xehanort in the past, he has the greatest probability of success. 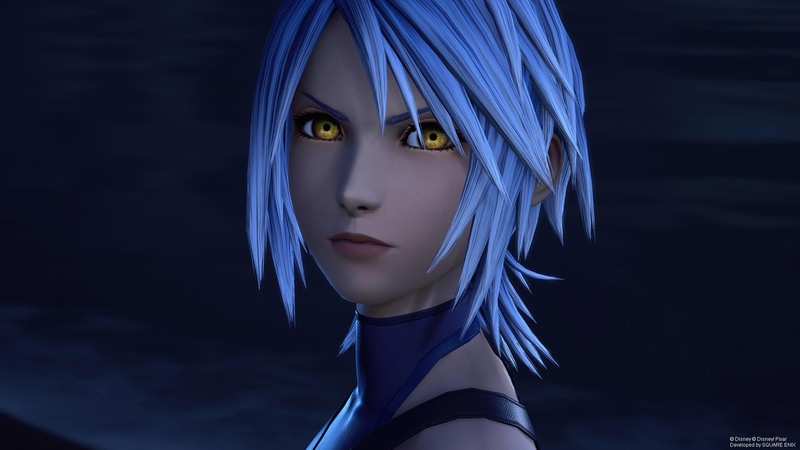 Aqua has been in the darkness for so long that it is possible that there just isn't any light left, though it is still possible that she could break free — if only temporarily. What is Scala ad Caelum? The very end of the final Kingdom Hearts 3 trailer reveals Master Xehanort talking about a placed called Scala ad Caelum. Doing a bit of research, this roughly translates from Latin to "Stairway to Heaven". It is generally believed that this will be the final world in Kingdom Hearts 3, especially since it is the last thing we see in the final battle trailer. However, that does not mean this is the last place we will visit since its name implies a journey toward something. It is reasonable to believe that Scala ad Caelum will lead Xehanort to Kingdom Hearts, and that the final battle will most like take place in the true Kingdom Hearts. 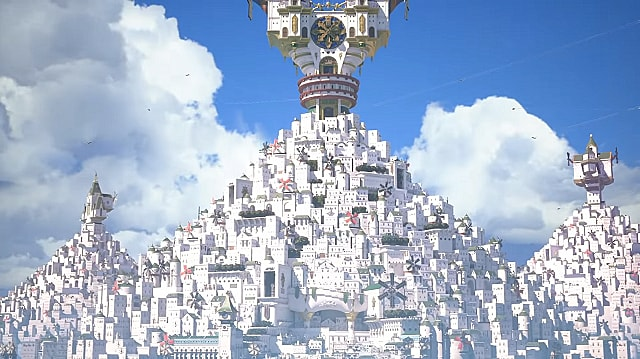 Of course, we can expect Scala ad Caelum to be a huge world (perhaps the largest in the game) with the end-game dungeon; the inevitable journey to the true Kingdom Hearts will just be a one-time, "can't-go-back" section of the story. What's the Final Scene in the Final Battle Trailer? As for the scene in the "final battle" trailer, this is most likely after the events seen earlier in the Keyblade Graveyard. Scala ad Caelum might be the direct result of the fight between the 13 Seekers of Darkness and the seven Guardians of Light, being a place that defies the laws of time, allowing all 13 Seekers to morph into a single person. 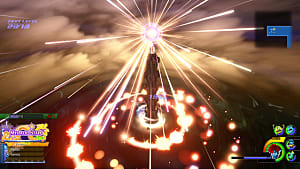 Unsurprisingly, Sora is most likely also all alone, at least for some time, during this section of the game; whatever happens to the other guardians will only be temporary, but Riku or someone else close to Sora will die as a result of the final events of the game. What do you think about these theories? Agree? Have some ideas of your own? If so, let us know in the comments below. And as always, tell us why we're wrong; we love a discussion, especially when it's about one of the most anticipated RPGs of 2019 (read: all time). Don't forget to check back as there will be plenty of Kingdom Hearts 3 content to look forward to here at GameSkinny.